The Voorhees Animal Orphanage received approximately 70 Kuranda beds for dogs that come through the shelter this winter. A few weeks ago as the Voorhees Animal Orphanage began to prepare for the frigid weather soon to come with the winter season, Marketing Director Jennifer Bailey looked to provide better accommodations for dogs in the shelter. She created a “Wish List” one night with the Kuranda Shelter Bed program in hopes of generating donations from the community for the PVC framed beds for the entire shelter, outfitting about 70 kennels — something she believed to be rather ambitious at first. However, although the holidays are past, the community was still willing to give. After posting that the shelter was looking for help in providing these beds to dogs that come through the shelter to keep them off the cold, hard ground, approximately 50 beds were purchased in less than 12 hours. What came next was the combined effort of organizations and individuals to selflessly help animals that cannot help themselves. Peter Calderon, a VAO supporter from Hamilton, reached out to Bubba’s Beds for Shelter Friends to look for further assistance in helping the shelter. After supporters had then purchased the additional 20 PVC beds, Bubba’s Beds for Shelter Friends contacted the VAO and provided the shelter with the monetary difference to upgrade the PVC framed beds to aluminum framed beds, which are more stable and last much longer, according to Kuranda Bed Founder and President Mike Harding. 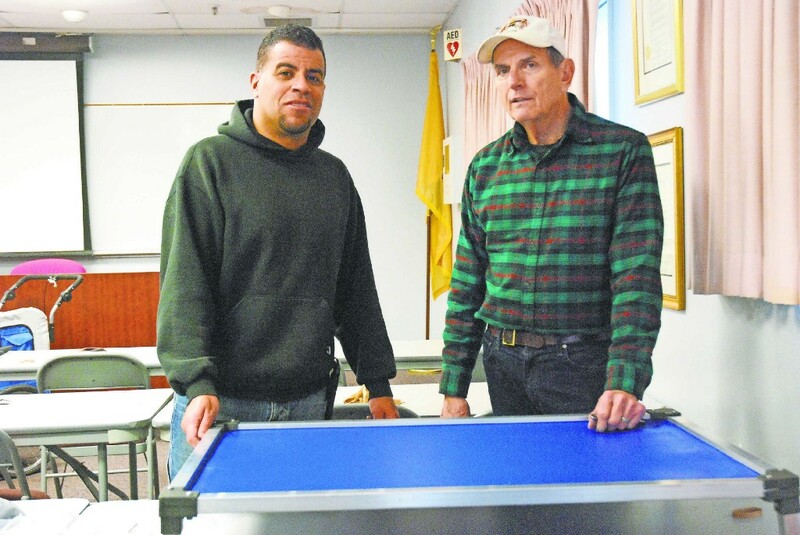 On Saturday, Dec. 29, the three organizations came together at the Voorhees Township Fire Department building to volunteer their time to assemble the aluminum beds in one day for the dogs at the shelter this winter. More than a dozen volunteers worked simultaneously to build the nearly 70 beds. Each bed takes approximately 8 to 10 minutes to put together. Calderon, whom owns two dogs that are both adopted, says he did so simply to help the shelter reach its goal of helping all of its dogs. Bailey says the turnout and extra effort from the community and the two organizations helping with purchasing and assembling the beds was nothing short of extraordinary. Bailey says the shelter had about 15 beds in storage for the dogs before the donations started, so the Kuranda beds will now be able to being in every kennel for the entire winter. According to Harding, the beds were upgraded to the aluminum frame because they work much better for shelters. Although more expensive, they can last for more than five years for the shelter.